Cinema is the most popular and common source of entertainment. 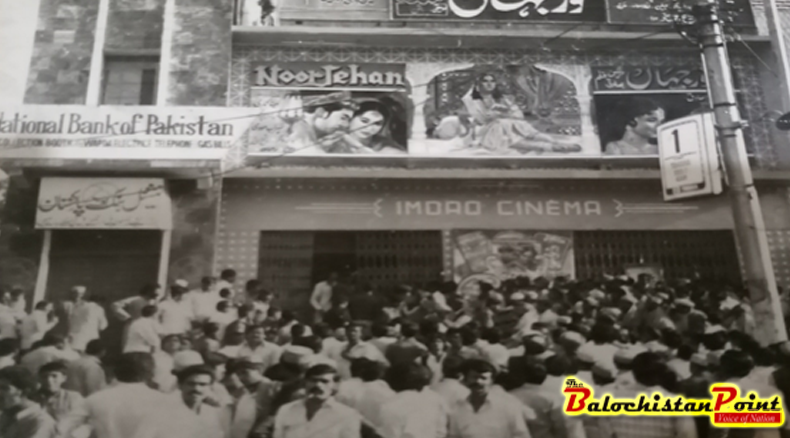 Years ago, more than seven cinemas were in Quetta to entertain the viewers of Pashto films. But now the number of Pashto cinemas have decreased to just two in the capital city of Balochistan. Muhammad Iqbal, an employ in the cinema told the scribe that they had to close the entrance of cinema with in an half hour after opening it for the public as all the seats were always booked within 30 minutes four decades ago. The Pashto cinema started its golden era in 1970, produced variety of films as “Darra Khyber”, “Bangri” and many more. 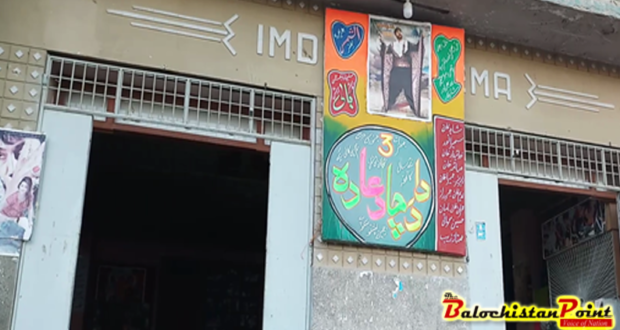 Terrorism is a great factor in the declination of Pashto cinemas in Quetta as Imdad cinema was burned twice once in the reaction of USSR’s attack on Afghanistan and next time by the workers of a religious political party, a man in the cinema told the Balochistan Point. 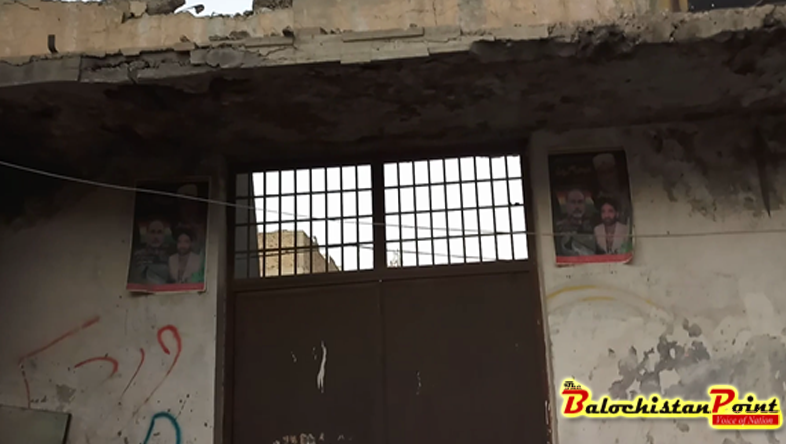 Cinemas were firstly attacked by extremists and then by militants. At a time, Pashto cinema was on its peak, people from other districts of the province were coming to cinemas to watch the movies but the Zia regime and after that, war on terror broke the fabric of Pashto Cinema industry in Quetta. Answering a question Iqbal said about the number of movies, screened monthly: “ Four films per month, the collective number of viewers are not even more than 400 as a time was there when we had more than 3000 viewers per month. A Pashto cinema at Toghi Road Quetta has closed and it’s building is now turning into a commercial plaza and a cinema at Prince Road Quetta has turned into a nursery. Manager of Imdad Chowk Cinema considers that films should be produced according to “Pashtun Culture “, if producers are lacking stories _ I would want to recall them the story of Ajab Khan (Freedom Fighter in British era) and many other stories are there. These are not the movies to watch_ youth will not visit cinemas for such movies . Movies as Durkhanai got the attention of viewers, due to only of its story. In recent years old heroes like Badar Munir , Asif Khan and others are replaced by actors like Arbaz and Jahangir Khan etc . Their films are failed to catch the viewers as films are having violent and anti-culture scenes. Employ of the cinema Muhammad thinks, “Mobile phones have badly affected our cinema industry , people are prevented not to use smart phones in cinema but they use as they copy movies by their smart phone cameras and then share that on internet. Decades ago, we had viewers like legend “ Samad Khan Achakzai “( founder of a political party PKMAP ) but unfortunately now only drugs addicts are there in the cinema , manager of cinema replied , future _ ? hope may the old days come again but not possible by producing such movies . “Watch the posters, do you think people will visit cinema for these films?” manager asked me having aggression in his eyes. Muhammad Waseem , 24, an employee says , this cinema is having just 3 employees and still tough for the owner to provide us our salaries. I came here four years ago _ situation was not too worst as it is now. Years ago, Pashto cinema was at its peak, at that time their movies screened in Peshawar, Kohat, Quetta, Mardan, Karachi and also in Kabul. These movies managed to beat even Bollywood movies and dominated the theaters there. Kamal the viewer_ thinks, no one will visit cinema until the movies are not produced as what people want to watch, if I had any other activity to do even I might be not here. A man associated with Pashto cinema told the scribe:” the blame for the failure of cinemas in the region on unprecedented terrorism that has prevailed”. Another viewer complained for the worst condition and hot weather in the cinema house but still he says that he enjoyed the movie there. Senior employee of the cinema Iqbal stated with impuissance, only two Pashto cinemas are running here in Quetta now but we may not able to continue this one in nearer future. The writer belongs to District Sherani. He is a freelance writer. He is studying Media Studies in University of Balochistan.